With the issues of immigrants and refugees in the news so much lately, young readers have lots of questions about what is happening in our communities, our country, and our world. Here are some materials to help them understand about immigration now and in the past. All of these books (save one) were published in 2018. 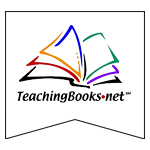 If you wish to find more titles, check out a more comprehensive list here. America Border Culture Dreamer : The Young Immigrant Experience from A to Z by Wendy Ewald. 9780316484954. 2018. Gr 3-6. Wendy Ewald photographed first-and second-generation immigrants from all over the world to show their experiences and lives from A to Z.
Mexican American author Yuyi Morales retells her own immigration story. She describes how she carried her infant son across a bridge into America and struggled to speak and understand the language, and to find a place to belong. When they discovered the public library, books became their key to reading, speaking, and writing. Escape from Aleppo by N.H. Senzai. 9781481472173. 2018. Gr 4-6. After Nadia is separated from her family while fleeing the civil war, she spends the next four days with a mysterious old man who helps her navigate the checkpoints and snipers of the rebel, ISIS, and Syrian armies that are littering Aleppo on her way to meeting her father at the Turkish border. Finding Langston by Lesa Cline-Ransome. 9780823439607. 2018. Gr 4-7. After his mother’s death in 1946, eleven-year-old Langston and his father leave behind their quiet life in Alabama and move to Chicago. Struggling to fit in and missing his mother, Langston finds refuge at the local library where, unlike his library in Alabama, blacks are just as welcome as whites to use. There he discovers the poetry of Langston Hughes and a secret—he was named after this very poet whose work his mother loved. Front Desk by Kelly Yang. 9781338157796. 2018. Gr 4-6. Ten-year-old Mia Tang and her immigrant parents take over management of a rundown motel in Southern California. While her mother cleans rooms, Mia runs the front desk. They also hide immigrants in the empty rooms, which could get them kicked out of the motel if the mean owner, Mr. Yao, ever found out. She also desperately wants to be a writer, but her mother thinks she should stick with math because English is her second language. I’m an Immigrant Too! : An Australian Story by Mem Fox (ill. by Ronojoy Ghosh). 9781534436022. 2018. Gr PK-3. Australian author Mem Fox explores the many ways that immigrants have contributed to and enriched her home country. Irving Berlin : The Immigrant Boy Who Made America Sing by Nancy Churnin (ill. by James Rey Sanchez). 9781939547446. 2018. Gr 2-5. Marwan’s Journey by Patricia de Arias & Laura Borras. 9789888341559. 2018. Gr K-2. A young refugee boy takes an unknown journey away from his war-torn homeland. And as he reaches the border along with thousands of other displaced people, he doesn’t know if he will find a home in a new country. Saffron Ice Cream by Rashin Kheiryeh. 9781338150520. 2018. Gr PK-2. Rashin, an Iranian immigrant girl living in New York, is excited by her first trip to Coney Island. She’s fascinated by the differences in the beach customs between her native Iran and her new home—but she misses the saffron flavored ice cream that she used to eat. Stella Diaz Has Something to Say by Angela Dominguez. 9781626728585. 2018. Gr 2-5. Stella Diaz loves spending time with her family and her best friend Jenny. But when Jenny is put in a different class for the school year, Stella feels lonely and self-conscious about her tendency to slip from English in Spanish and pronounce words wrong. But she has to find a way to overcome her worries as she prepares to present an assignment in front of her entire class. Be Prepared by Vera Brosgol. 9781626724440. 2018. Gr 6-9. Vera, an immigrant kid, finds it hard to fit in with her well-off suburban friends, because she’s too Russian for them. So when she finds out that there is a Russian summer camp—and her mom can afford to send her there—she is sure she’ll feel comfortable there. But there she finds she’s not Russian enough, and she’s much younger than her tentmates, and the outhouses are atrocious! This graphic novel will resonate with anyone who has ever felt out of place. The Crossroads by Alexandra Diaz. 9781534414556. 2018. Gr 4-7. Jaime Rivera, an undocumented teen, came to the United States from Guatemala hoping for a better life. While his cousin, Angela, seems to fit in at school quickly, Jaime struggles and wishes to be with his family in his native country. But news of gang violence hitting close to home makes returning to his parents and Abuela impossible. Jaime sketches his observations in his sketchbook and finds hope in a few unexpected allies. First Generation : 36 Trailblazing Immigrants and Refugees Who Make America Great by Sanda Neil Wallace & Rich Wallace (ill. by Agata Nowicka). 9780316515245. 2018. Gr 4-7. Read about thirty-six important immigrants and refugees who made a significant impact on American culture, from Secretary of State Madeleine Albright to basketball star Dikembe Mutombo and physicist Albert Einstein. These profiles highlight their contributions to America and the value of diversity. A Land of Permanent Goodbyes by Atia Abawi. 9780399546839. 2018. Gr 7-10. Teenager Tareq enjoyed a humble but peaceful life with his family in Syria until a bomb strike destroyed their happiness with one fatal blast. Their only hope of survival becomes to escape their homeland, but their new lives as refugees force them to face danger at every turn. My Family Divided : One Girl’s Journey of Home, Loss, and Hope by Diane Gerrero (with Erica Moroz). 9781250134868. 2018. Gr 6-8. Nowhere Boy by Katherine Marsh. 9781250307576. 2018. Gr 5-8. In Brussels, Belgium, fourteen-year-old Syrian refugee, Ahmed, meets thirteen-year-old American, Max, and the two become bound by a secret that forces them to overcome their differences and embark on an adventure. Path to the Stars : My Journey from Girl Scout to Rocket Scientist by Syvia Acevedo. 9781328809568. 2018. Gr 5-8. After tragedy strikes her family during a meningitis outbreak in her underprivileged neighborhood, Sylvia Acevedo turns to the Girl Scouts. The daughter of an immigrant, Sylvia credits the group with giving her the fortitude to become a rocket scientist and eventually CEO of the Girl Scouts of the USA. Running on the Roof of the World by Jess Butterworth. 9781616208196. 2018. Gr 5-8. After her parents are arrested by Chinese soldiers because of their religious beliefs, twelve-year-old Tash and her best friend Sam travel from their home in Tibet across the Himalayas to India in order to seek the help of the Dalai Lama. Sea Prayer by Khaled Hosseini. 9780525539094. 2018. Gr 6-12. Inspired by the story and photo of the three-year-old refugee that washed up on a beach in Turkey, Hosseini wrote this heart-tugging prayer of a father who has taken his family out of their home in war-torn Syria and is now about to cross the sea with them. The Sky at Our Feet by Nadia Hashimi. 9780062421937. 2018. Gr 4-7. When Jason learns that his mother has been living illegally in the United States since his father was killed in Afghanistan, he becomes terrified that she will be deported and they will be separated. After seeing his mother being escorted from her workplace by two officers, Jason takes off to New York City to find his aunt. An accident lands him in the hospital, where he meets Max, who helps Jason plan an escape out of the hospital and into the big city in the hopes of finding his family. Without Refuge by Jane Mitchell. 9781541500501. 2018. Gr 4-8. Forced to leave his home in war-torn Syria, thirteen-year-old Ghalib makes an arduous journey with his family to a refugee camp in Turkey. Americanized : Rebel Without a Green Card by Sara Saedi. 9781524717797. 2018. Gr 8-12. In 1990s California, thirteen-year-old Sara Saedi keeps a diary of her life as an Iranian American and her discovery that she and her family entered the country illegally. The Best We Could Do : An Illustrated Memoir by Thi Bui. 9781419718779. 2017. Gr 10-Adult. This graphic memoir follows a family’s life in and journey from war-torn Vietnam. The story is told by the daughter, a very young child when they escaped, who is trying to understand how her parents’ attitudes are influenced by their struggles. Call Me American : A Memoir by Abdi Nor Iftin. 9781524732196. 2018. Gr 10-Adult. The author shares the story of his life from his birth under a neem tree in Somalia to his journey to America. He highlights the traditions and customs of his culture as well as his dreams of becoming an American citizen and the struggles he faced as a Somali refugee. 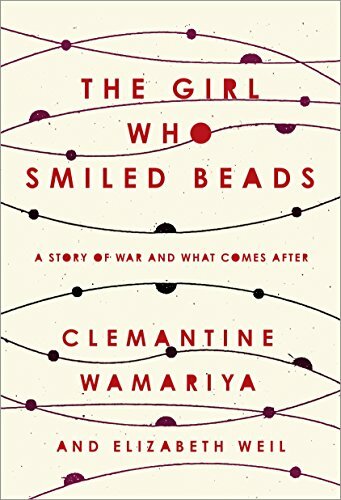 When she was six years old, Clemantine Wamariya escaped with Claire, her fifteen-year-old sister, from the Rwandan massacre. She would spend the next six years hungry, abused, and traveling from camp to camp, until she and Claire were both granted refugee status in the U.S. There their lives diverged. While on the surface Clemantine seemed to be living the American dream, underneath she had to struggle to re-invent her life on her terms and escape the painful memories of her past. Illegal by Eoin Colfer & Andrew Donkin (ill. by Giovanni Rigano). 9781492662143. 2018. Gr 7-12. When his brother Kwame disappears, Ebo leaves Ghana to find him, thinking Kwame might be headed towards Europe. The voyage is dangerous as he searches a Nigerian refugee camp and ends up on the ocean drifting without food or water. This graphic novel chronicles the duel voyage of both Ebo and Kwame. The Making of a Dream : How a Group of Young Undocumented Immigrants Helped Change What It Means to Be American by Laura Wides-Munoz. 9780062560124. 2018. Gr 10-Adult. Five young DREAMers share their personal stories as undocumented immigrants brought to the United States by their parents illegally when they were children. Now facing the prospect of being sent away from the only country they’ve ever known, they started the social movement for the civil rights of DREAMers. The Map of Salt and Stars by Jennifer Zeynab Joukhadar. 9781501169038. 2018. Gr 10-Adult. Nour’s mother moves their family from New York City to her home country of Syria after Nour’s father dies from cancer. As she tries to find peace in a new country, she recalls her and her father’s favorite story–the story of a twelfth-century girl named Rawiya who pretended to be a boy in order to work as an apprentice to a Syrian mapmaker. When the Syrian war sends a stray shell into Nour’s home, her family must flee in order to survive. And the journey they take leads them on the same path as Rawiya 800 years earlier. The Newcomers : Finding Refuge, Friendship, and Hope in America by Helen Thorpe. 9781501159107. 2018. Gr 10-Adult. The lives of twenty-two immigrant teens are followed throughout the course of a year at Denver’s South High School. These students attended a specially created English Language Acquisition class and were helped to adapt through strategic introductions to American culture. The Unwanted : Stories of the Syrian Refugees by Don Brown. 9781328810151. 2018. Gr 8-12. This graphic novel explores the ongoing Syrian refugee crisis. It describes how refugees fled war-torn Syria in 2011, overwhelming neighboring countries and causing widespread chaos. As costs and resentment in countries grew, the refugees became unwanted. Brown presents the stories of those who survived, and those who did not, as well as a call for help.